In Kontopanos Dental Care we take care of children and adults who need orthodontic treatment. We inform you in detail about the method and the duration of your treatment so you can enjoy a smile that you deserve. Metal braces / Invisible braces. Invisible braces are the method during which we use plastic, transparent forms of dental braces in order to adjust to your teeth. Using high tech computer software invisible braces are designed and custom made for your mouth only! 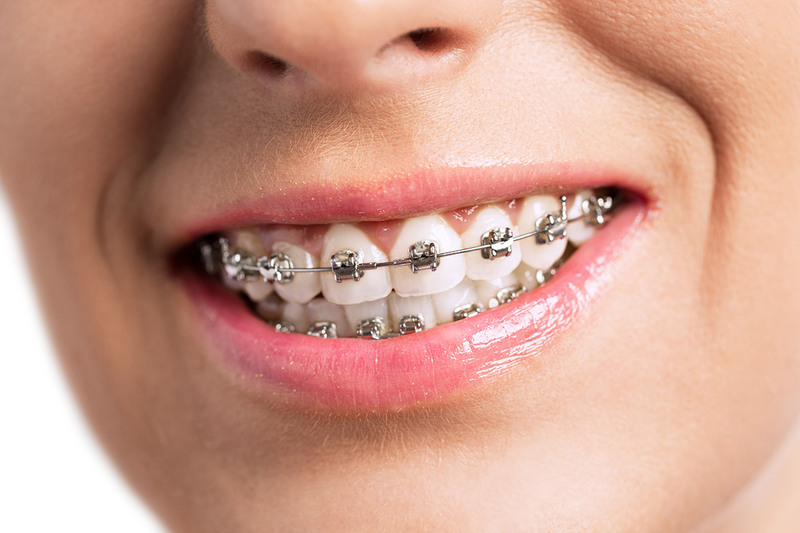 It is suitable for everyone who wants an orthodontic treatment but common braces do not satisfy them. Our practices use the Clear Aligner technique and works with a certified orthodontic laboratory. During the first visit, we take into account your medical history; examine your mouth, taking photography & x-ray radiographs. 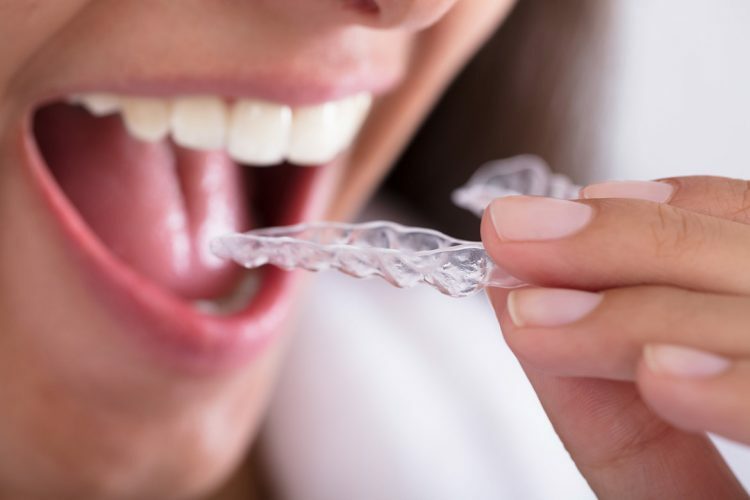 In collaboration with us you decide whether you want to have the first mouth guard on your next appointment or to have a mold that will show you the new position and closure of your teeth, just as it will be after the end of your orthodontic treatment. Starting therefore, the first guards are exclusively made only for you in specialized dental laboratories, certified by the Clear Aligner software technique. Receive the "set up kit"
During the 1st session you receive the ‘’set up kit’’ which you apply to your teeth and you change it successively every week according to your dentist’s directions. Every mouth guard which you apply moves slowly your teeth until we reach to the desired result; having the ideal smile! 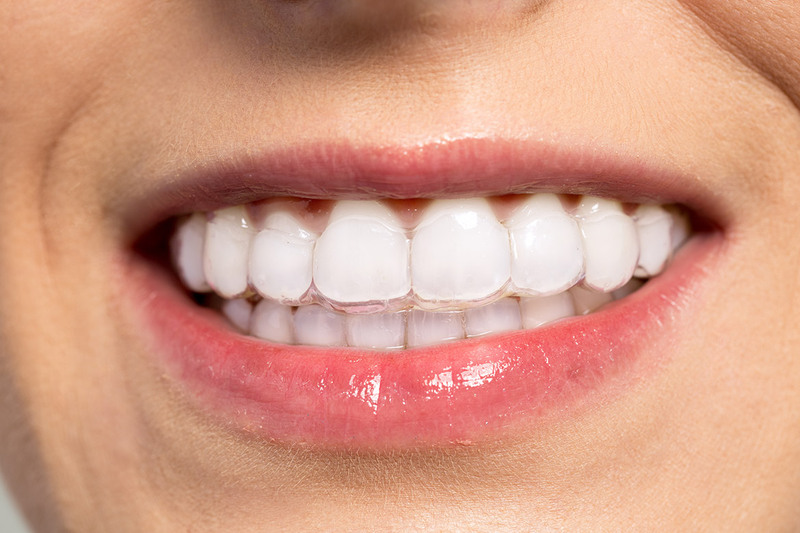 The aligners are made of transparent acrylic hypoallergenic materials and are placed on the tooth surface. In this way, we achieve them to be highly tolerable and most importantly not be visible to your interlocutors. Thus, during the treatment, you have problems neither at work nor in your daily life. They can be easily and quickly removed when there is an important professional or social encounter. They do not burden oral hygiene, as you can remove them during the day. We brush and clean them with a toothbrush and an oral solution in order to maintain a pleasant and fresh breath. They do not injure lips and gums. The period of adjustment is 2-3 days, during which you feel a minor pressure on the moving teeth and you notice a slight difference in your speech. However, these possible inconveniences disappear after 3 days. Disadvantages of invisible orthodontics are that invisible braces do not address all orthodontic anomalies. However, very satisfactory results are also achieved in cases of overcrowded teeth, hypododontia, malocclusion, anodontia/edentulous and so on.